With over 800 jobs in government this week, who says there’s an economic crisis? There certainly doesn’t seem to be one in government funding. As you can see on the right, there are more than enough jobs on offer for government to subsidise and pay whomping great salaries for. Add on the gold plated pensions and you’re laughing guv’. Oh, did I also mention unprecedented, platinum plated job security. Yes, whereas people in the private sector are worrying for their jobs, a nice cosy post in government will always be there for you. In these London-based maternity-cover positions, we would like to give you the chance to represent local government interests to the EU and to shape the opinions of European policy-makers. Interviews for Programme Manager role: 23 October 2008. The role demand a proven background in lobbying or public affairs, allied with a strong understanding of the role of local government as well as EU policy and legislative frameworks. Highly analytical and a persuasive communicator, you'll also have the flexibility to succeed in a fast-changing environment. Please quote relevant reference number. Closing date for the post: 12 noon, Tuesday 7 October 2008. The LGA Group is currently undertaking a full review of its pay grades. The LGA has a positive approach to equalities and welcomes applications from all sectors of the community. The next thing you know they’ll be demanding a seat at the UN too! This job shows just how far local government has come – and the EU too – as yet another big government institution that it feels it needs a lobbying group. So much for local government being there to clean the streets, fix the lights and mow the parks. 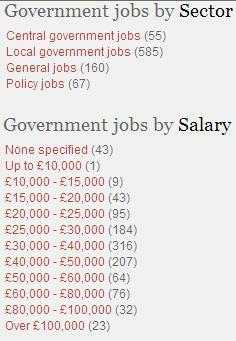 Along with this job as an EU public affairs officer for the LGA (costing you almost £40,000 a year) these jobs, all taxpayer funded via council 'subscriptions', are just there to get more and more of your money so local government can grow and grow. Already EU regulations have motivated the ridiculous ‘green’ practices of local government with their Landfill Directives. Guess why councils now hand out charges left, right and centre, fines if you use the wrong bin, if it isn’t shut or if you dare put out your bin the night before? Bear in mind too that the EU is driving for a bin tax…I wonder what the LGA’s stance on that would be?